Poll: Who should win Semi-Final 1 of Eurovision 2018? The first semi-final of Eurovision 2018 brings us fire, monsters, bones and even a Pikachu. Nineteen countries will sing and, after Bulgaria’s reveal and Albania’s revamp, we now have all of their songs. With that in mind, it’s time to ask you for your opinions. Who do you think should win Semi-Final One, and who will qualify? The allocation draw in January saw many people comment on just how strong the second semi-final was. The first, on the other hand, was largely written off. But in the two months that have followed, it’s all changed — and now fans worry that several of their favourites will get the chop. There’s a considerable mix of genres and tempos in the mix. Classic ballad fans may like Iceland and Armenia, whilst drama comes via Belgium‘s Sennek. Classic Europop enters the frame with Finland, Azerbaijan and others, whilst Greece and Albania serve the native language realness. What’s more, four of the bookies’ favourites all take part in this semi-final: Israel, Estonia, Bulgaria and Czech Republic. That’s just scratching the surface, too. The deck is stacked high and there’s bound to be some upsets. Those are the 19 competing entries: now, it’s time to have your say. You can vote in our poll below. The same rules as usual apply: you can vote for as many acts as you like, but you can only vote once. Make sure it counts! Poll: Who should win Semi-Final One of Eurovision 2018? We’ll close the poll before the first semi-final on May 8. We’ll bring you updates as we get closer to the show as well. Make sure to let us know who you voted for in the comments section as well, and let us know who you think will qualify — or who you think might miss out! According to me, the strongest act of the first semi-final is Bulgaria (if the staging is great). So, I would qualify : Bulgaria, Albania, Belgium, Austria, Finland, Greece, Ireland, Lithuania, Switzerland and Czech Republic. With semi 1 being so competitive, if Russia qualifies, Eurovision will not be worth watching. There’re at least 13 songs here worth to be in the finals. As a rock fan, I would be truly grateful to see Albania in the final. It is the only rock song on the first semi, so please support it! It would be a shame for a troll act to qualify while a masterpiece such as “Mall” to fall into obscurity. Let’s be fair for once! Vote for talent, not for props! Couldn’t agree more with you! Albania rocksss this year! 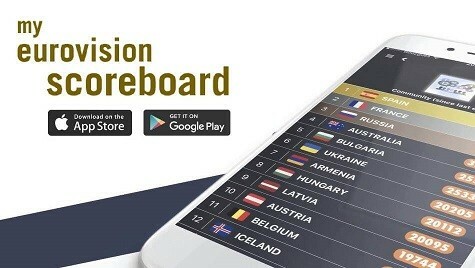 Israel, Bulgaria and Cyprus will qualify 100%, while Belarus, Switzerland, Iceland and Ireland are 100% non-qualifying countries this year. And all the rest have equal chance to qualify. However, I really want to see Macedonia and Croatia qualifying! Love both songs! The odds really aren’t evenly distributed among the semifinals this year, this one is much stronger, and I already weep for Armenia and Albania, two of my favorites in this year’s competition, which don’t seem to have that many fans – and I am completely at loss, why that is. Israel will surely qualify, so at least one of my top 5 will make it to the final. I think Albania will qualify 100% because Eugent is brilliant live singer. 1st semifinal has a lot of “great songs” but some of them will fail at live such as: Bulgaria, Cyprus, Israel, Macedonia. This group will have a lot of surprises. The problem is that there are only 3 places left in SF1 because there are 7 sure qualifiers: Israel, Belgium, Bulgaria, Greece, Czeck Republic, Estonia (I don’t get the hype), Cyprus. And that’s why I am afraid for Albania – I try to encourage people to vote! I can’t, what’s very annoying – rules need to change, but maybe we can motivate some lazy listeners?! Tibor – Do you still believe in Netta’s vocal capacities?! Go and check what a huge mess her live performance was! Can we pick all songs from second semifinal? Because this one is just a joke. I don’t see any of these songs in final unless they want to fight for last place. The second semi is a joke lmao. Can it be cancelled? Cause at least 14 songs here are better than every song in the second semi except for Australia and Ukraine. You won’ get Albania, Armenia, Austria and Belarus through – because there are already 7 sure qualifiers. So I recommend not to devide your votes. Semi final 1 is so much stronger than semi final 2. I have 12 favorites in Semi-final 1 and only 3 favorites in semi-final 2. I hope Belgium goes to the final and if we do. Do not mention us as the 10th country like the last 3 times. The tension is not good for my heart :p.
I don’t know why Belgium and Iceland are usually announced last. That’s very odd. Most of my favorite songs are in this semi-final. I am a big fan of classical crossover, so Elina is the first in my top-songs.However, I am sure that Netta will win this semi-final, as there are a lot of fans of hers. Also, I wish Armenia a big success. Regards from Tajikistan. I notice on the forums Greeks endlessly favor their song, it really does not cost anything. Unobtrusive Balkan without any modern. Half of the best for the final are Israel, Bulgaria, Estonia and the Czech Republic! This year there are many songs I like so it’s difficult to choose some songs over other songs. I think Estonia, Armenia and Greece will do well with the juries. As an overall winner of the semi, I would bet on Estonia. You noted so many mediocre performances. Oh my God. I do not even want to think about it. I fell in love with Armenia’s entry at first hearing. I also want Albania to make it. He is not drunk.. it is worse. He is braindead azer who pretends to be Armenian. Aram, my dear, you belong to the stadium, not to wiwibloggs. No go take your obnoxious sense of nationalism somewhere else. P.S: Armenia will not even qualify. He is not Armenian you idiot. I’m thinking that Ireland could be a surprise qualifier. It all depends on the live performance. Israel’s song is not my cup of tea. I chose Belgium and Estonia. I have a feeling that this is the year where Armenia and Azerbaijan’s zero point to each other will pretty much harm their chances for qualification. On a side note, I know allocation for the semis should and is random, but when two countries mutually blacklist each other due a technically ongoing war, you should put them in different semis. my favorites: #Israel is my homeland, and I really wish #Netta the trophy! This semifinal is so LOW! Most goods songs are in second. I only like Azerbaijan, Cyprus and a little Estonia. Other songs are just cheap and boring. You’re kidding, right? Anyway sorry for the sarcasm. Everybody has different tastes. To me all the good songs are piled up in the first semi, whereas the bad ones in the second one. New version of Belarus, after the National Final the song was corrected! It’s much better! https://www.youtube.com/watch?v=PtQWuRPkaPo? Do you people really think all those bops and bop-wannabes are going to qualify? Have you learnt nothing from the past? Cyprus, Czech Rep, Finland, Israel, Azerbaijan, Belarus…at least TWO of these won’t qualify. I agree with you. The most weakest bop(s) among them will fail. For me it would be Azerbaijan based on the studio version. Azerbaijan and Belarus (since when is that a bop?) and either Finland or Cyprus, I’d say. I wouldn’t necessarily call them bop too, more like regular pop. I just referenced it since many people consider them as bop. If I had to choose between Finland and Cyprus, then I think Cyprus is a bit stronger than Finland. After all, the staging will determine who’s the strongest. Right now it’s hard to predict (Finland’s performance was messy and we don’t know Cyprus’ live so we can’t really compare between them yet). That’s why I wrote “wannabes”.